Huber is looking forward to landing in New Orleans Sept. 30 through Oct. 2 exhibiting at the Society of Petroleum Engineers’ Annual Technical Conference and Exhibition. We are a first-time exhibitor and very excited about the opportunity! Our personnel will be in booth 2501 discussing our high-performing calcium carbonate products which are used as bridging and weighting agents in drilling fluid applications. 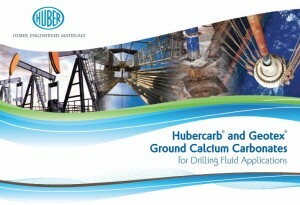 You are cordially invited to stop by and ask us about the broad range of Hubercarb® and Geotex® calcium carbonate products we offer from 1 to 2400 microns. Along with our great calcium carbonates comes our superior technical service know-how and unparalleled customer care.